“Let the Church be protected in the exercise of its spiritual power by spiritual means only – as preaching of the Word, administration of the sacraments, and the like. 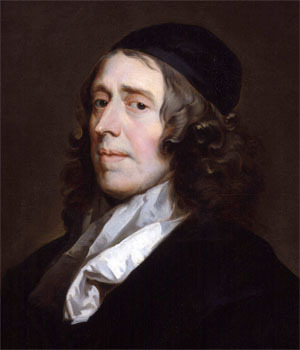 Whatever is further pretended as necessary unto any of the ends of true religion or its preservation in the nation, is but a cover for the negligence, idleness, and insufficiency of some of the clergy, who would have an outward appearance of effecting that by external force which themselves, by diligent prayer, sedulous preaching of the Word, and an exemplary conversation, ought to labour for in the hearts of men…. Whilst the same doctrine of truth is preached in all places, the same sacraments administered – wherein every Protestant subject of the nation will be at liberty to join in Protestant Christian worship, and to partake of all Church ordinances in the outward way, and according unto the outward rites, of his own choosing, without the authoritative examination or prohibition of any pretended Church power but what, in his own judgment, he doth embrace – no inconvenience will follow hereon, unless it be judged such, that the Protestant religion, the liberty of the subjects, and the due freedom of the consciences of men sober and peaceable, will be all preserved” (“Union among Protestants,” in The Reformation of the Church: A Collection of Reformed and Puritan Documents on Church Issues, ed. Iain H. Murray [Banner of Truth, 1997, reprint], 353). The argument for inter-connectional church government seems so simple and plausible: don’t churches need accountability, too? For a long time I did not know how to respond to this question, even after I had been convinced that congregationalist church government fit best with the New Testament. Then, in connection to reading the Owen piece just quoted, it occurred to me: whatever entity holds individual local churches accountable, whether it be a Presbytery or a Pope, doesn’t it need to be held accountable as well? After all, doctrinal and/or moral corruption can weasel in at any level, whether individual, local, or national. And then, whatever entity has authority over that entity, couldn’t it be held accountable by some still greater power? And so on ad infinitum. In other words, the lines of accountability must stop somewhere. Someone or something must have ultimate veto power — as, according to my understanding, the national synod (General Assembly) does in many Presbyterian forms of church government. If the Presbyterian asks, “who is going to keep those churches accountable?”, the congregationalist can ask, “who is going to keep your synods and assemblies accountable?” The Presbyterian might point out, “the larger the ultimate accountability, the greater the safety it is for local churches when they have problems.” But then, the congregationalist can point out, “the larger the ultimate accountability, the greater the potential for it to damage healthy local churches if it has problems.” Smaller accountability structures may be able to do less good, but then, they can do less bad, too. I suppose the question becomes, which do feel more acutely: fear of damage coming from a corrupt external source, or desire for help from a healthy external source? The great argument for congregationalism, as it seems to me, is that it offers a kind of damage control in the face of the tendency toward institutional degeneration that is inherent in a fallen world. To corrupt an entire network of congregationalist churches you have to corrupt every single local church in that network. In an inter-connectional system, there is always the danger of corruption (whether doctrinal, moral, etc.) spreading outwards to the periphery from a powerful, poisoned center. I don’t think this point is a slam dunk argument for congregationalism in and of itself, but for me it neutralized the argument against congregationalism on the basis of the idea that all churches need accountability. That freed me to focus more closely on the New Testament itself, which I believe models congregationalism in the way it assumes local churches will operate. What scripture passage can you point where a church in the New Testament practiced or was instructed to make decisions using a congregational model? I often hear those in support of congregationalism say that fits with the New Testament but they never explain where they see this in the New Testament. I read your congregational section of the above linked article. I’m not understanding how you are deriving a congregationalist polity from such texts. A lot has to be assumed in order to get congregationalism whereas, in Scripture, we do have positive instances of elders being selected––not by the congregation––but by other elders (i.e. apostolic associates). We could think of Titus, for instance (1:5). Also, consider the removal of Hymenaeus and Alexander. The congregation didn’t remove those two, the apostle did (1 Tim 1:20). However, we have 0 instances of the congregation doing these things in the New Testament. The congregations, more often than not, are going astray and are in need for a shepherd, like Paul, Titus, or Timothy, to “fix” the issues. Part of the reason Scripture uses the allegory of sheep to describe God’s people, and shepherds to describe pastors or overseers is because the sheep need leadership. Sheep can never become the leadership because they weren’t called to leadership. If we allow those who weren’t ordained to shepherd the flock to shepherd themselves, disaster is close at hand because it’s contrary to the biblical model.